Universidad del Istmo—widely known as UNIS—is ready to host the 2018 NIBS Worldwide Case Competition championship week. Now all of Guatemala knows it, too. 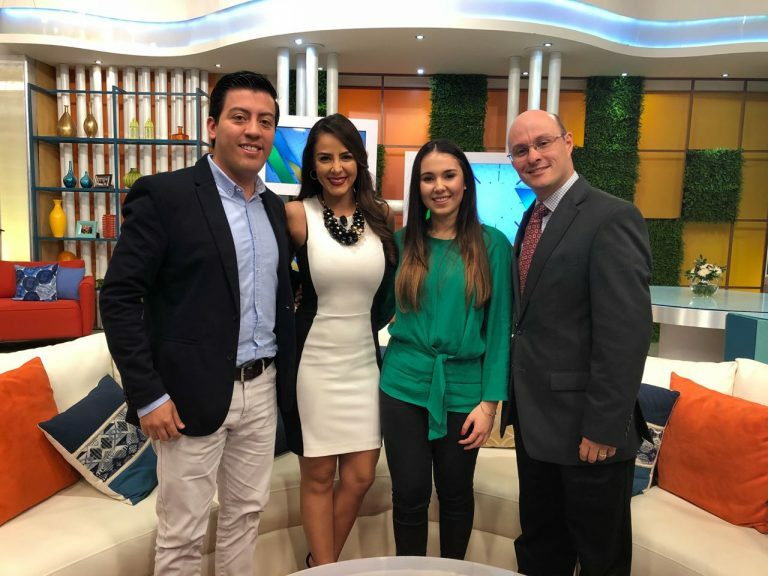 On Monday, representatives from the university’s Faculty of Economics and Business appeared on Viva la Mañana, the wildly popular morning show of TV channel Guatevisión. Host Loraine Quinto discussed the competition with two past participants from UNIS: Luis Fernando Barillas, a member of the championship-winning team from 2015, and Beatriz Arango, who attended the 2017 competition in Rauma, Finland. The former students were accompanied by the director of the university’s marketing program, Prof. Gerardo Corzo. 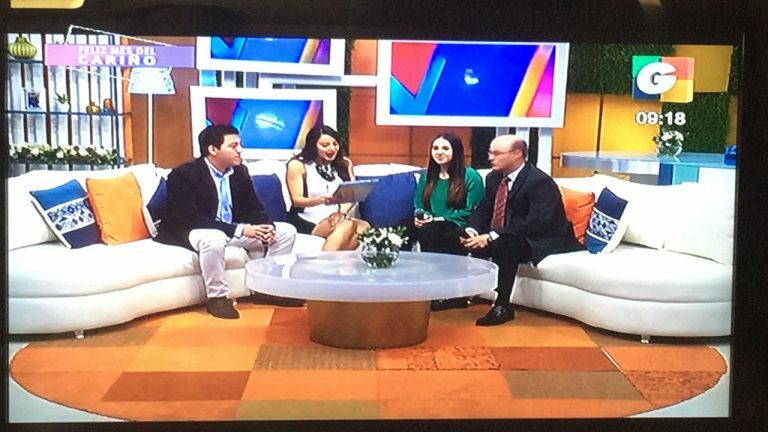 Monday’s appearance comes on the heels of another national television appearance last week featuring Prof. Samuel Trejo, Dean of the Faculty, and Prof. Marleen Campbell, director of the school’s international business program. 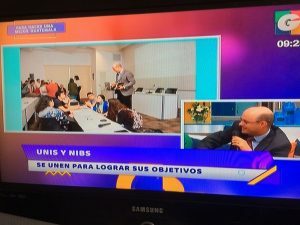 The pair were interviewed on business program Desafíos, where they discussed the benefits of the competition for Guatemala and the opportunities being created for UNIS students. NIBS Championship Week will feature the top 16 finishers from a qualifying round held in November. It kicks off with an opening ceremony on Sunday, February 25 and culminates with a championship final and gala banquet on Friday, March 2. Matches will take place at Universidad del Istmo’s new campus outside Guatemala City. The Organizing Committee for this year’s competition is being led by Prof. Giovanni Solís, director of the university’s management program.